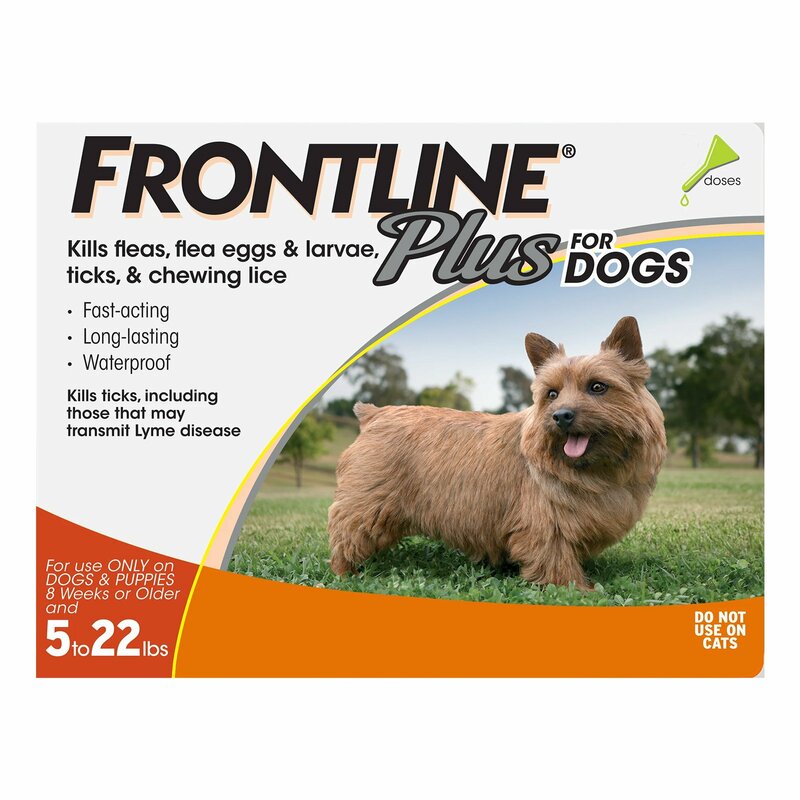 Frontline Plus is a flea and tick treatment for 8 weeks and older puppies and dogs. 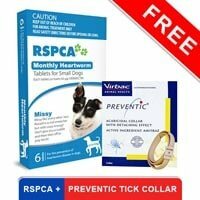 A monthly spot-on treatment, it kills adult fleas within 12 hours and destroys ticks and chewing lice within 48 hours. It remains active for four weeks during which it wipes out the flea life cycle and prevents re-infestations of these pests. The waterproof treatment allows bathing and swimming the pet even after application. Kills adult fleas and ticks within 2 days of application. Kills parasite life stages for 4 continuous weeks. Kills through contact so saves the pet from painful insect bites. Kills all kinds of ticks including the deadly ones like American dog ticks, brown ticks, deer ticks and lone star ticks. Protects the pet from fatal tick-borne diseases like Rocky mountain fever and Lyme disease. Waterproof treatment that keeps acting even after bathing or swimming the pet. Let the puppy or dog stand in a comfortable position. Part the fur between the shoulder blades to make the skin visible. Invert the open pipette and place its tip onto the skin. Squeeze out the solution until the pipette is empty. Allow the area to be completely dry. For small and medium sized dogs, apply at one spot only. For larger dogs, apply at 4-5 spots across the backbone. 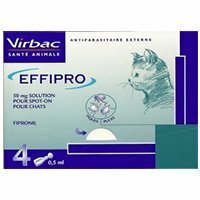 It is safe to apply on pregnant, lactating and breeding dogs. It is formulated for dogs so do not use on any other species. It is an inflammable product so store at cool and dry place. Until the application site is dry, just keep away children and other pets from grooming or playing with the treated pet. Keep away from the pet’s eyes and mouth. Also, make sure the pet does not lick the applied area. Keep away from children. If swallowed accidentally then immediately contact a poison control center. In case the product enter pet’s eyes then flush with lots of water. Sterilize hands after treating the pet. Do not drink, eat or smoke while applying the treatment. Consult a veterinarian before treating aged, convalescing and debilitated pets. 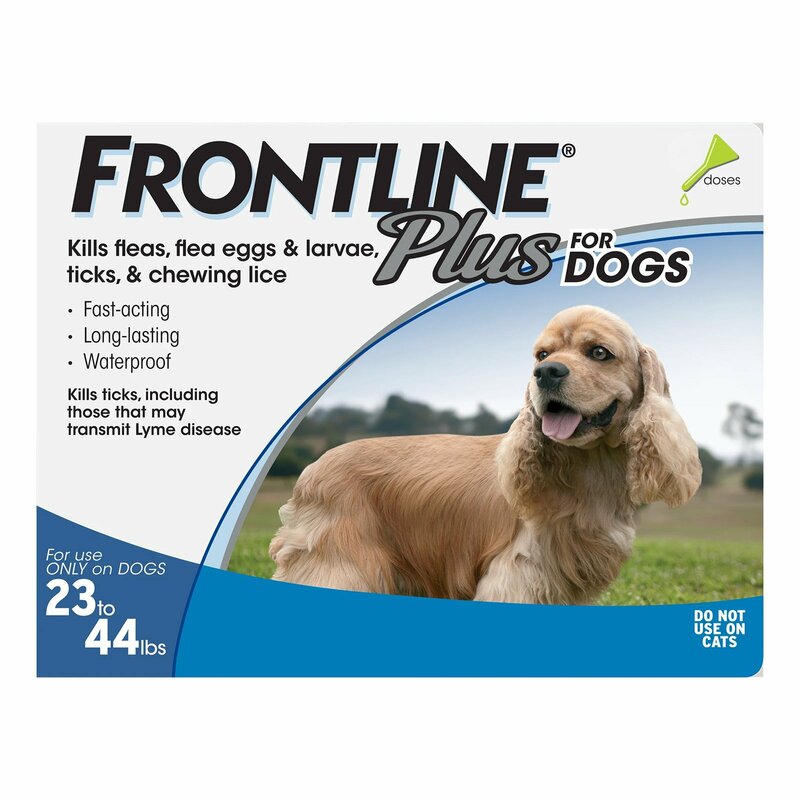 Manufactured by Merial / Boehringer Ingelheim, Frontline Plus for dogs is a popular flea and tick treatment that gives quick results. Suitable for 8 weeks and older puppies, the treatment kills 100% adult fleas within 12 hours and it is approved for nursing, breeding and pregnant dogs. It eradicates ticks and biting lice within 48 hours of application. 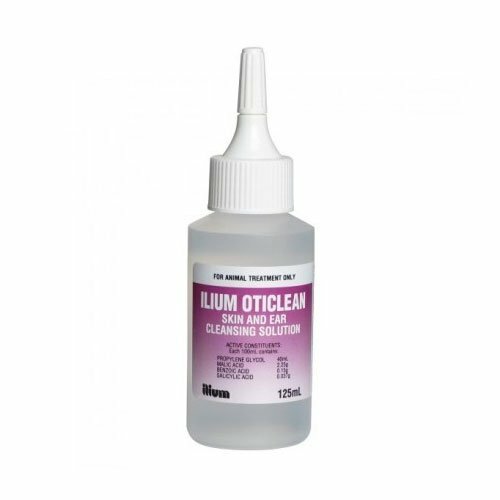 Its monthly action kills flea eggs, larvae and pupae for a period of four weeks. Active Ingredients Fipronil is an adulticide that kills adult fleas and ticks while S-methoprene is an Insect Growth Regulator, which curbs the juvenile life stages of fleas, and ticks. Together both the ingredients give absolute protection against fleas and ticks and prevent future occurrence of these annoying insects. Please Note: Merial is now acquired by Boehringer Ingelheim. So, the manufacturer’s name on product packs may vary according to the available stock. I really love how this product helped me remove fleas from my pal. Quality product! 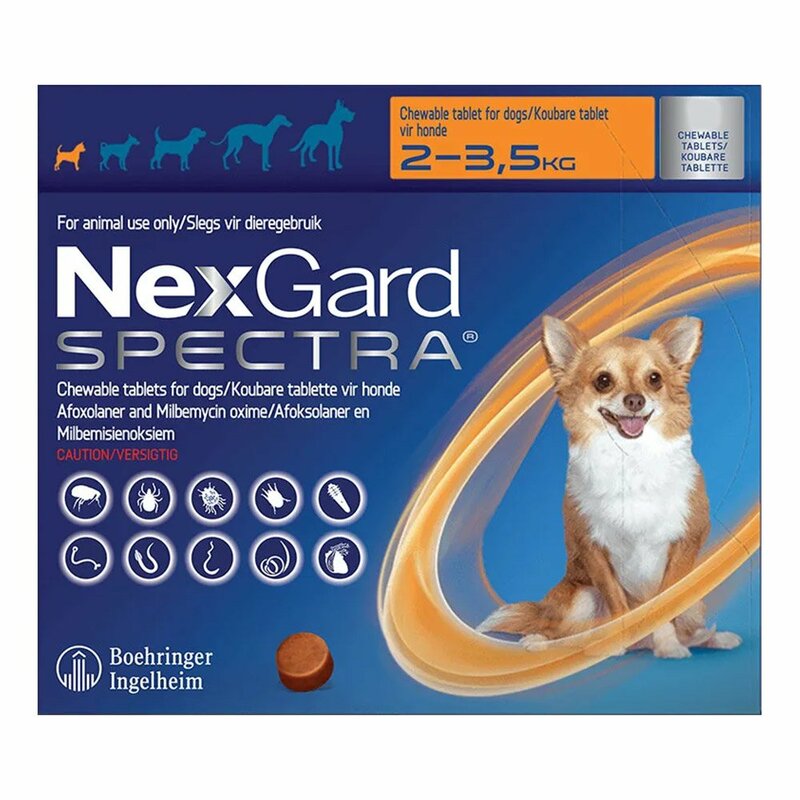 we really like this product for my dogs.thank u. 40 of 46 found this review helpful. Easy to use, easy to order and I have never been disappointed. 24 of 32 found this review helpful. Whenever I need a Frontline Plus I order from BudgetPetCare! 20 of 24 found this review helpful. 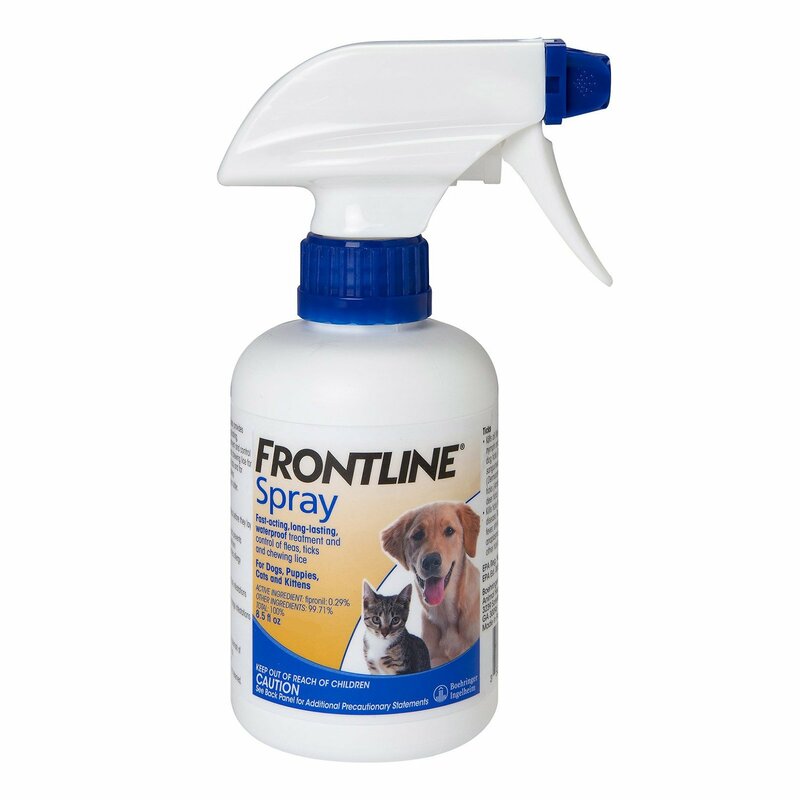 My dogs had a very bad flea problem so the vet recommended frontline for them. It is a fantastic product. Their problem is finally solved. 17 of 20 found this review helpful. The website was easily navigable and had the cheapest prices compared to that of others. 25 of 29 found this review helpful. I live in an area which is heavy on fleas. Here we never have cold weather long enough to kill them off. 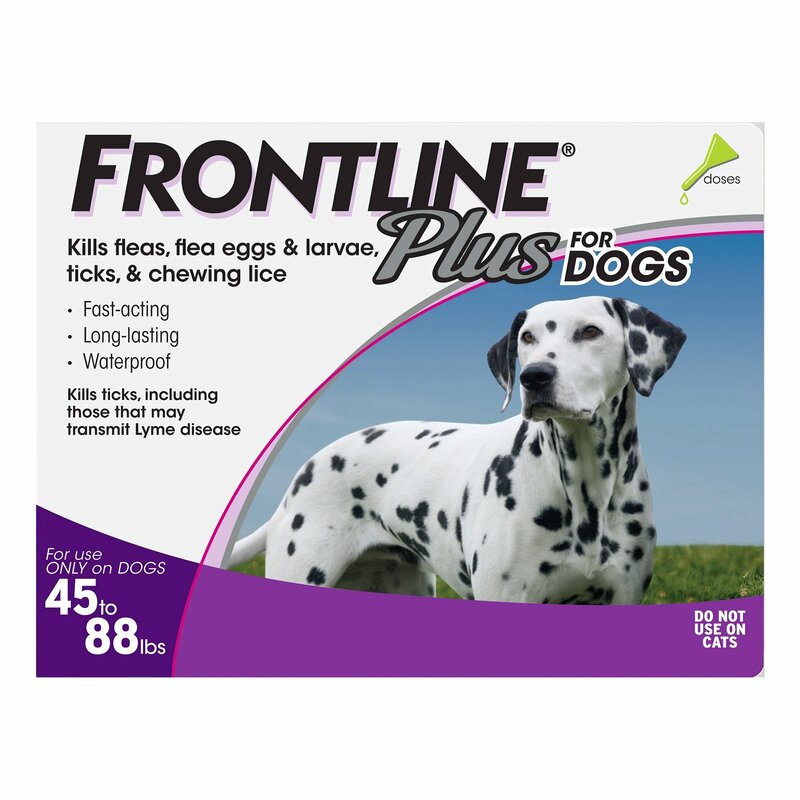 So for us, frontline is always the best solution for treating fleas on dogs. 12 of 98 found this review helpful. Love Budgetpetcare prices and free shipping. frontline is always a good product. 12 of 13 found this review helpful. 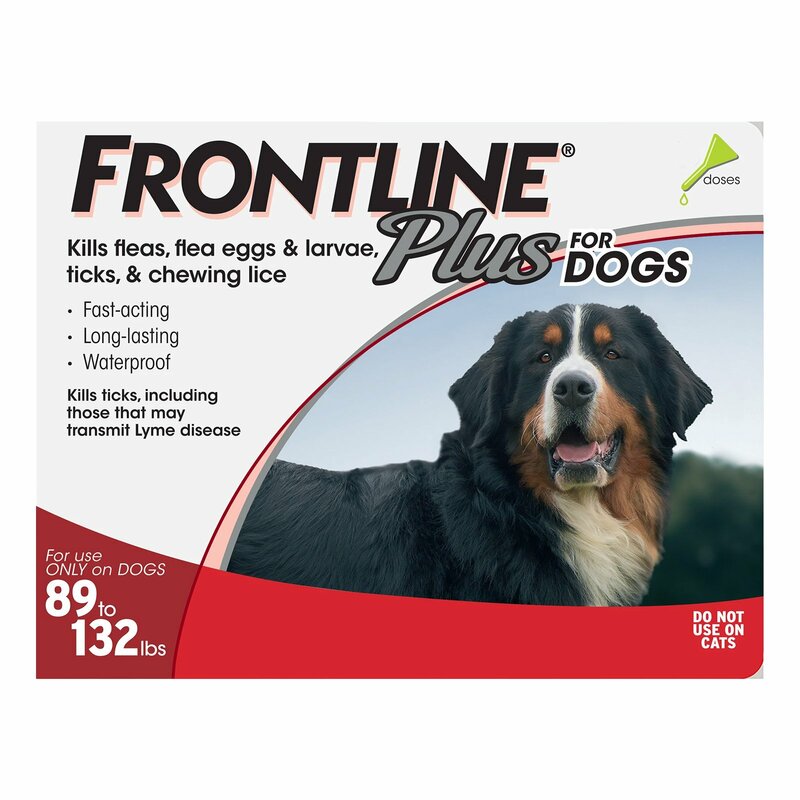 Frontline plus is easy to apply on my dog and I use it regularly. So far it has proved to be a good product.